Universal health care is a hot topic in America. Many other countries have already implemented universal health care, and to many, America seems backwards, late, and uncaring of its citizens. The truth is that America is not uncaring, but rather, America has its focus elsewhere. America, unlike many other countries, focuses on research, development, and advancement of medical technology and pharmaceutics instead of public welfare. Now, that isn’t to say that America is uncaring. America still has state medical assistance for those below the poverty line, Medicare for the elderly, and child health insurance programs for children whose families are above the poverty line yet are too poor to purchase private insurance, but the American healthcare system is designed to ultimately pay manufacturers and research institutes, not go back into the public. America currently leads the world in medical technology and pharmaceutics, producing more than half the world’s medications. 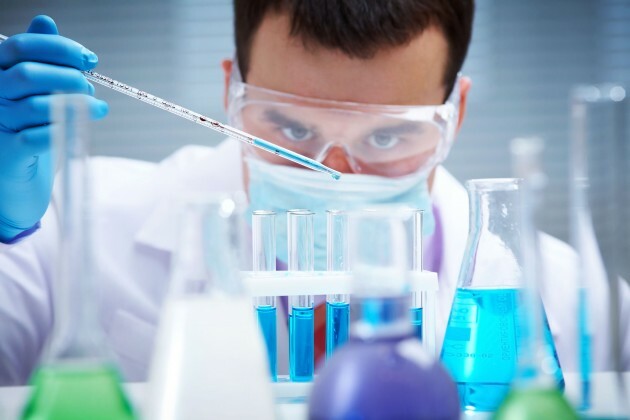 The American healthcare system rewards and incentivizes research instead of the public welfare of one nation because the goal of the US is to advance medicine as a whole, not just improve one nation. With the advent of the Affordable Care Act (ACA), many people in the US now have healthcare. However, the ACA only required the purchase of insurance. The ACA is not universal healthcare. Quite to the contrary, the ACA pushes more money goes into a system of healthcare professionals that ultimately fuel research. Patients pay premiums to pay for insurance companies; the insurance companies pay providers; those providers then have money to purchase medical equipment, pharmaceuticals, or other healthcare assets; those purchases further fund the institutes that directly advance the research for better medical technology; and they get their money from selling those technologies and advancements to providers. This unending cycle does not exist within many other countries. 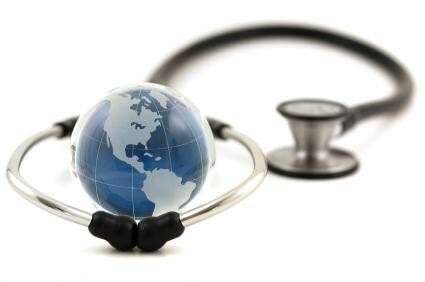 Other nations, like England, Germany, Japan, Korea, Australia, and many, many others, have a ministry of health which directly provides healthcare to its citizens. For example, England follows a health constitution, the National Health Service Constitution for England (NHSC), to regulate how health care is covered. The system promises that no one will be denied care and that all health care is free. On the surface, this sounds like what many people in the US want. However, the NHSC limits when the care may be provided. Directly on their main page, the NHSC suggests that vaccinations for the Shingles disease be given to people age 70 and up. However, the Center for Disease Control (CDC) in the US recommend the vaccination as early as 60 years of age. Even the European Medicines Agency recognizes that the Shingles vaccine is meant for people as early as 50. Therefore, how significant is a difference of 10 years? According to both England and the US, Shingles can often lead to pain – ranging from mild to moderate and described as sharp and stabbing pain. In fact, the pain from Shingles is so debilitating that it is cited as the number two reason for suicide in elderly adults. Further, 15 of 100 elderly people who suffer from shingles may become blind. Most universal healthcare nations, however, cannot afford the vaccine on a nationwide scale that early. The point of determining when healthcare is allowed is to stagger the payments. It’s better to have 10 separate payments made instead of one massive lump sum. However, in the US, providers and hospitals are not state employees that must rely on taxpayer money to buy vaccines from drug manufacturers or machines from medical technology companies. In many countries where there is public universal healthcare, the vast majority of providers are state employees. Taking everything into account, nations like England have one insurance, one large organ of healthcare providers, and therefore one major purchaser of healthcare technologies and pharmaceuticals. With one entity fueling the money in a system, the layman would believe that money would be better controlled, and to a certain extent, that is correct. Insurance companies negotiate reimbursement rates for providers. So, the standard $100 rate for cash paying patients may be less for certain insurances where the doctor only gets $70, as an example. With a promise of lowered rates, though, insurance companies boasts their number of subscribers. So, the tradeoff is a lowered rate for the prospect of an increased number of patients and payment security. In America, where there are many insurance companies, providers are often given a wide selection with whom to contract and power to negotiate rates. However, in nations such as England, providers are employees of the State. The government need only compensate the provider at an agreed salary rate, and all the money for providers and research comes from taxes. These same taxes, therefore, are also used to purchase MRI machines, purchasing pharmaceutics, and developing whatever research is possible with the miniscule amount of money remaining. So, the entire financial burden of setting up hospitals, paying for providers, and buying medical equipment fall upon one single entity that controls nearly the entire healthcare system, and this can have grave consequences. No other country in the world rivals the US in availability of medical testing. MRI machines, for example, are more readily available in the US than any other country. For example, the US has more than 11,000 MRI machines, around 35 machines per 1,000,000 inhabitants. The second highest country is Korea, having only around 1,200 MRI machines or roughly 24 machines per 1,000,000 inhabitants. Having a lesser number of machines available for use means an expected wait time in many other countries. Therefore, wait times in many other countries can exceed two weeks just for a simple scan. In America, though, hospitals need not wait for taxpayer money from the government. As their own business, hospitals may purchase newer, more efficient medical technology in whatever quantities they deem necessary. This is what runs the US healthcare system: the flow of money back into research, not into the people. The National Health System for England, The NHS Constitution, https://www.gov.uk/government/uploads/system/uploads/attachment_data/file/448466/NHS_Constitution_WEB.pdf (last visited Sept. 1, 2015). The National Health System for England, Shingles, http://www.nhs.uk/conditions/shingles/pages/introduction.aspx (last visited Sept. 1, 2015). The National Health System for England, Shingles, http://www.nhs.uk/conditions/shingles/pages/introduction.aspx (last visited Sept. 1, 2015). The Center of Disease Control and Prevention, Shingles (Herpes Zoster), http://www.cdc.gov/shingles/about/prevention-treatment.html (last visited Sept. 1, 2015). The Children’s Hospital of Philadelphia, A Look at Each Vaccine: Shingles Vaccine, http://www.chop.edu/centers-programs/vaccine-education-center/vaccine-details/shingles-vaccine#.VeYv6vlVikp (last visited Sept. 1, 2015). Magnetic Resonance, 21-01 What is the Organ Distribution of MRI Studies?, http://www.magnetic-resonance.org/ch/21-01.html (last visited Sept. 1, 2015). Martin Beckford, Britain has fewer high-tech medical machines than Estonia and Turkey, The Telegraph (Mar. 30, 2011), http://www.telegraph.co.uk/news/health/news/8413647/Britain-has-fewer-high-tech-medical-machines-than-Estonia-and-Turkey.html. Categories: comparative law, healthcare, medical research | Tags: ACA, Affordable Care Act, comparative law, healthcare, medical research, Obamacare | Permalink.